(4 ea.) Openings at Stairways. (4 ea.) 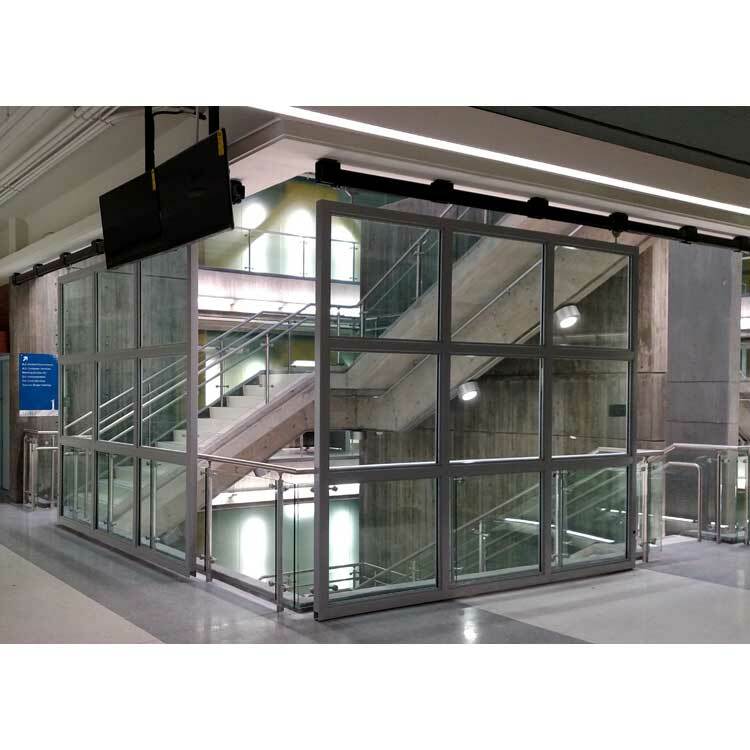 12'-0" wide x 10'-0" tall x 3" thick single sliding manually operated Crown #974 tubular frame construction with 3/4" thick glazing. Doors roll on #25 box track in powder coat black finish using #25-1BSE trucks. 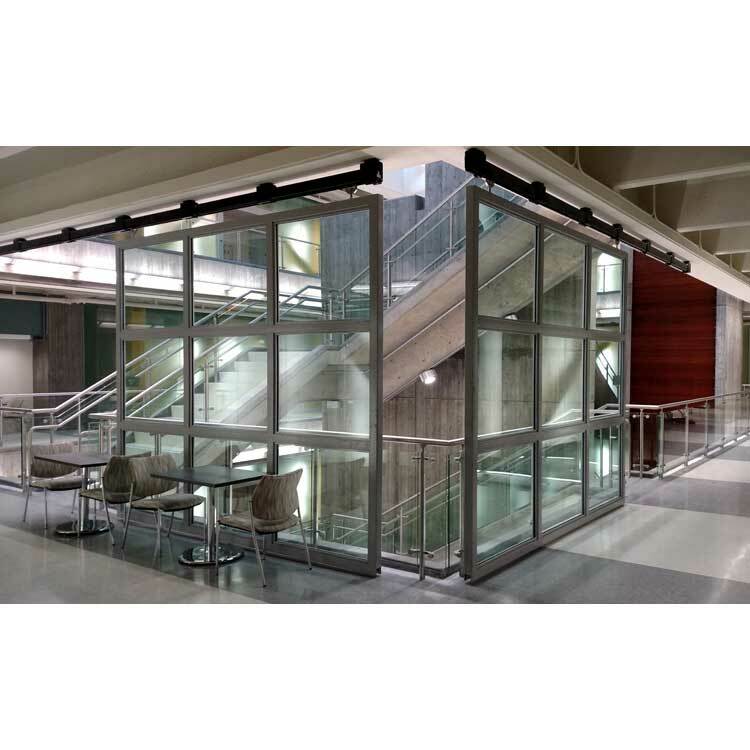 The doors are guided at the floor by #CRS222-Z concealed stay roller with CRSC22 concealed bottom guide channel. Constructed, designed, & installed by Crown Industrial. Elevation View: #974 Tubular Frame Doors in Full Open Position: Project Completed.